Founded by two skilled criminal defense lawyers, our law firm offers people and businesses in Charlotte and throughout North Carolina effective representation in a broad range of criminal law matters. If you need a skilled criminal defense attorney to present your case, call Kevin Barnett & Associates Contact our law firm today. Our attorneys are lifelong North Carolinians with a deep understanding of state and local legal culture. After working together in another firm, they formed Kevin Barnett & Associates, to provide high quality legal representation in all local courts. 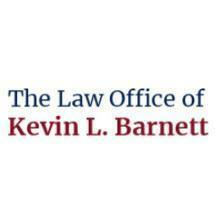 Partner Kevin Barnett has more than 20 years of experience in North Carolina criminal defense work. Mr. Barnett is well known in the Mecklenburg County courts, where he has built a reputation for successful defense of area drivers and other clients facing felony and misdemeanor charges. Our criminal defense practice has a history of successful representation in DWI matters. At Barnett & Falls, P.A., our attorneys serve s Charlotte area drivers in matters involving speeding tickets, reckless driving, hit and run, drunk driving (dwi/dui) and driving under suspension. The criminal defense lawyers at Barnett & Falls represents clients charged with drug crime. Schedule a free consultation to discuss your case. We offer free, confidential consultations in order to assess your case and how best to fight the charges against you. If you or your company has been accused of a white collar crime, choose a lawyer with thorough knowledge of financial transactions and tax law.